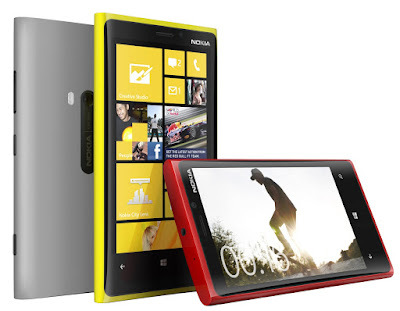 By September 2012, Nokia had been in the Windows Phone business for just under a year, starting off with the Lumia 800 in October 2011 and then the bigger Lumia 900 in February 2012. Neither device was really successful, despite having their charms and the goodwill of an army of Nokia fans. Although Windows Phone 7 and 8 had been well-received by critics, customers were not so keen and there was a general shortage of good applications. Well, Nokia was stuck with that problem whatever they did... but the other problem that the Lumia 800 and 900 had was that the technical specifications really weren’t up to much either. 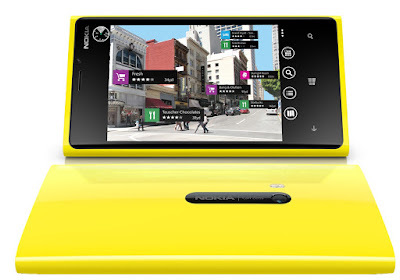 The Nokia Lumia 920 addressed the hardware at least – here was a phone that made no compromises when it came to features and it could easily hold its own against the flagship devices of rivals. Firstly there was the look of the thing – elegantly minimalist and housed in a variety of brightly-coloured thermoplastics, the physical design actually complemented the minimalist design of the operating system very well. A big, bright 4.5” 768 x 1280 pixel display dwarfed that of the iPhone and on the back was an optical image stabilised 8.7 megapixel PureView camera with Carl Zeiss optics, capable of full HD video capture. The camera itself caused quite a stir due to its advanced capabilities. Added to this was wireless charging, support for 4G LTE data, a 1.5GHz dual-core CPU with 1GB of RAM and 32 GB of flash storage and all the other features any high-end smartphone from the time would have. At 185 grams in weight the Lumia 920 was quite heavy, but it gave the whole thing a feeling of quality. Windows Phone 8 was easy to use, integrated well with companies running on a Microsoft platform and Nokia threw in some useful apps of its own such as turn-by-turn navigation and a free music service. However, beyond that apps looked a bit scarce – not least because Windows 8 was built around a different core from Windows 7 meaning most apps had to be reworked. In hardware terms Nokia had finally come up with a device that needed no excuses making for it, and which was just as good as, or better than the competition in most major respects. It was a relative success for Nokia and was the best-selling Lumia device to date. Even so, Nokia only managed to shift 4.4 million Lumia handsets in Q4 2012 while Apple shipped 47.8 million iPhones of all models in the same period. Despite giving it their best shot, the Lumia 920 was ultimately not the breakthrough device that Nokia desperately needed.